Shopping for Pink Floyd Signs? Pay tribute to one of rock and roll's most successful bands and albums! Pink Floyd's Dark Side of the Moon is iconic. 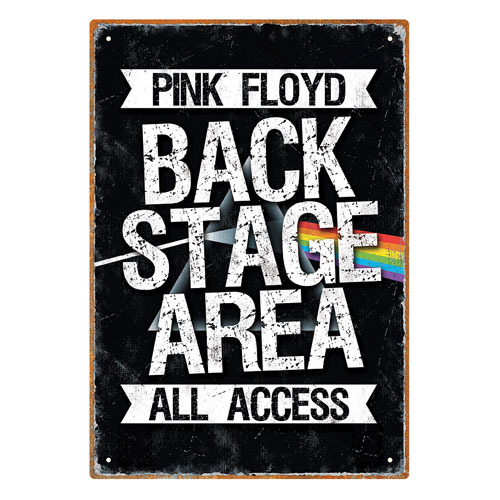 Show your loyalty with this Pink Floyd Backstage Tin Sign, measuring approximately 8-inches x 11 1/2-inches. Ages 12 and up.